Ladies: A Conjecture of Personalities is a book of voices. First Ladies between Martha Washington and Mamie Eisenhower tell their own stories—or, to be more exact, whatever they want—in their own words and in their own styles. Ladies: A Conjecture of Personalities crosses boundaries between fact, conjecture, and, most importantly, centuries. Through dialogue-boxes, the ladies talk to each other across eternity, where anything is possible. The modern First Ladies, from Mrs. Kennedy through Mrs. Clinton, participate in commentary. They talk to the reader and they talk amongst themselves. And they sympathize, empathize, and quarrel amongst themselves. They talk about their husbands, their children, the White House, and the times they lived in. And, of course, politics. It’s chatty. It’s catty. It’s fun. It’s informative. 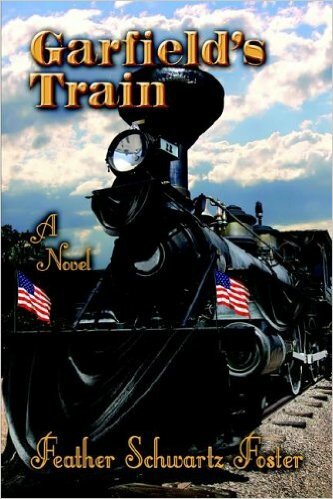 It’s a must-read for anyone interested in history. An Intimate Portrait of the Women Who Shaped America from Martha Washington to Mamie Eisenhower. An inspirational gift book perfect for any occasion! As our young nation grew into its own, it was not just the presidents who led the way. In fact, 26 remarkable women had a heavy hand in the shaping of America. 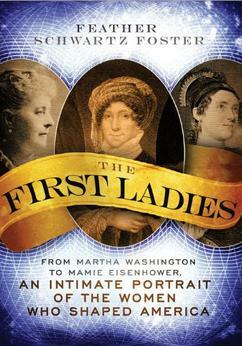 Filled with stories written in a light tone, this accessible gift book is a tribute to the honesty, kindness, and character strength of America’s first presidential wives. 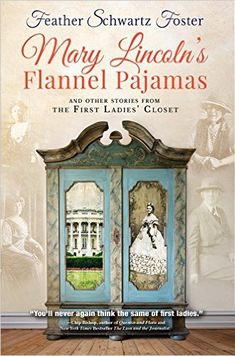 Various STORIES about First Ladies between Martha & Mamie, centering on some items of their clothing, whether it is a gown, or a pair of shoes, a hat or piece jewelry. All stories are real stories; they are not a fiction. The clothing is either factual, actual or metaphorical. These are some of the stories (all true) that have been told about some First Ladies you may have forgotten about - or never knew. The stories use an item of their clothing to propel the tale. It is history through the window – not the keyhole! You love their gowns at the Smithsonian; now you can love them better!